Our goal is to inspire students, expand their creative thinking, and stimulate their ability to absorb a variety of concepts while having fun building with LEGO® bricks. Children love to learn when actively engaged, and Bricks Academy® affords them this opportunity. Concepts are internalized and retained more readily when a person is an active participant rather than a passive spectator. In our innovative, educational, and fun environment, students are provided a unique hands-on experience. Just click on the Workshops/Additional Offerings link to view the opportunities that are available for students, ages 4 through high school. 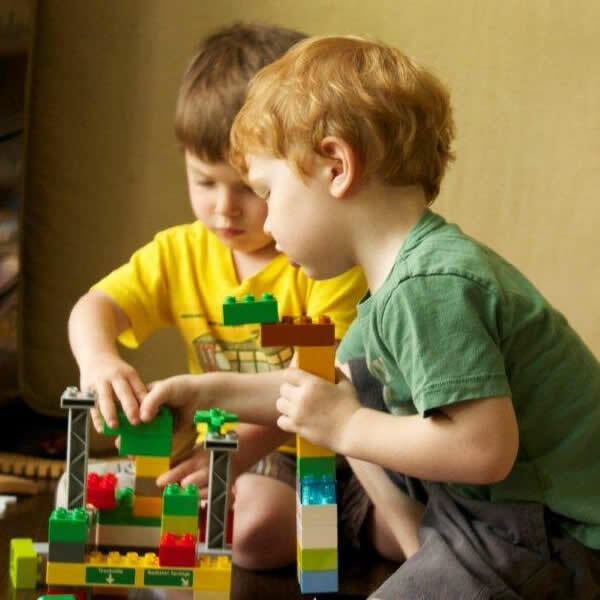 Enhance learning by building with LEGO® bricks and elements. Through our various workshops and special activities, the younger students learn how to effectively follow directions, recognize shapes, patterns, colors, numbers, letters, and develop fine motor skills. The older students explore math, science, and engineering concepts, while developing problem-solving and analytic skills. 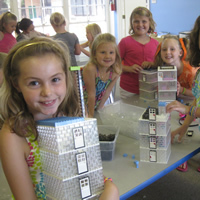 Creativity and self-initiated “builds” are also a part of this learning process. Through its integrated learning approach, S.T.E.A.M. engages students and increases motivation, while encouraging students to solve authentic problems and to collaborate with others in building real solutions. Reading, following specific directions and verbal skills are also enhanced through these studies. 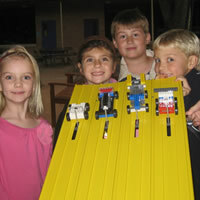 Robotics workshops provide an opportunity for students to construct programmable robots that move. Using gears, pulleys, electronic parts, such as motors and sensors, and software programs, students are able to create and enhance their robot's functions. Learning through creating stimulates problem-solving, promotes success, and increases one’s positive self-image. This leads to further exploration and discovery and additional successes. The skills learned and enhanced through Bricks Academy workshops continue to assist the students when they are introduced to more advanced concepts in other subjects and disciplines. Students feel comfortable exploring and reaching for new heights in future endeavors in a variety of disciplines. 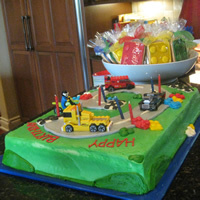 We look forward to hearing from you soon and having your children and/or grandchildren attend our workshops and/or schedule their birthday parties with us! You can register either on-line or by calling us. Please pass on www.BricksAcademy.com to your friends!